Livestock production is a contributing factor in the decline of many western species, including birds (Wuerthner and Matteson 2002). This is not surprising given the amount of land utilized for animal agriculture, including public and private lands. Approximately 578 million out of 1.9 billion acres in the West are grassland pasture or range. An additional 140 million acres of forests are grazed. Almost half of grazed landscapes are publicly owned (USDA ERS 2002). Nearly 90 percent of federal lands administered by the Bureau of Land Management (BLM) and 69 percent managed by the Forest Service are leased for livestock grazing. Grazing also occurs on state lands, and a significant number of federal and state wildlife refuges, state and national parks, national conservation areas, national monuments and wilderness areas. In total, as much as 700 million acres, or slightly more than a third of the land area of the contiguous United States may be grazed by domestic animals (Wuerthner and Matteson 2002). In addition to the vast amount of acreage devoted to livestock grazing, most of the nation’s cropland is also used to produce livestock forage. Cropland totaled 344 million acres in 1999. Determining how many acres of this land was used to feed domestic livestock is beyond the scope of this paper. However, it should be noted that four crops-feeder corn, soybeans, hay and wheat-accounted for 80 percent of this acreage (USDA ERS 2002). Of these crops, three-corn, soybeans, and hay-are largely used for livestock feed, particularly cattle. When these acres are added to the land used for grazing, as much as 900 million acres, or nearly half of the acreage in the contiguous United States, may be used for livestock production. Because of the huge geographical area affected by livestock production, there are many, significant impacts on native wildlife. “Livestock production,” as opposed to mere “grazing,” involves more than the cropping of grass or shrubs by domestic livestock. Growing livestock in the West involves multiple activities with consequences for bird species. These include, but are not limited to, the destruction of predators and “pests” (e.g., grasshoppers and prairie dogs); degradation of riparian areas through grazing and withdrawal of water from streams for crop irrigation; ground water pumping that can negatively affect riparian habitat, seeps, and springs; the spread of exotic species (invasive weeds, and non-native grasses planted for forage); and alteration of natural fire regimes (Wuerthner and Matteson). Livestock grazing impacts on birds vary with the type of livestock operation, region of the country and other factors. Responses of individual bird species are often habitat and species specific (Bock 2002). Not all livestock related changes have negative consequences for all bird species. Also, because their mobility allows birds to move someplace else when habitat is degraded by grazing, the effects of grazing on many bird species may be negative up to a point, but not enough to cause measurable population declines or clear direct impacts. For some birds, the effects of livestock production are neutral or even positive. For example, mountain plover nest on nearly bare lands created by overgrazing-although it should be noted that prairie dogs create similar suitable habitat and the decline of prairie dogs from persecution on behalf of livestock interests may be contributing to the decline of mountain plovers (Knowles et al 1982). Also, cowbirds have expanded their numbers and range due to the presence of livestock in the West (Goguen and Mathews 2001). However, the increase in cowbirds-which are brood parasites-has had its own negative consequences on many species of song birds (Marvil and Cruz 1989). Despite these reservations, there is ample evidence that livestock production negatively affects many western bird species in multiple ways. Increased grazing intensity can lead to population declines in birds (Kantrud 1981). Livestock trampling can destroy nests (Jensen et al 1990) and degrade riparian habitat. Grazing negatively affects some waterfowl species by reducing nesting success (Gilbert et al. 1996). Grazing can reduce hiding cover, leading to greater losses from predation (Gregg et al. 1994). Even in areas where grass cover remains in “excellent” condition because plant community changes have not occurred may still have less cover than is necessary for the survival of some species like sharptail grouse (Kirby and Grosz 1995) and lesser prairie chicken (Jackson 1963). Haying of fields also eliminates cover, leading to reduced nesting success. Haying negatively impacted nesting sandhill cranes (Littlefield and Paullin 1990) and rough-legged hawks in Malheur National Wildlife Refuge in Oregon (Littlefield et al. 1992). Haying and other forage production use the vast majority of water in the West (Wuerthner 2002), resulting in a decline in riparian habitat and aquatic foods for species as diverse as bald eagles and great blue heron. The spread of exotic weeds like cheatgrass can lead to overall degradation in vegetative communities, destroying important food sources and cover. For instance, cheatgrass invasion and subsequent frequent fires is one factor in the decline of sage grouse (Fischer et al. 1996). “Pest control” done in the name of livestock grazing can negatively affect some bird species, such as the elimination of prairie dogs and the resultant impacts on burrowing owls that depend upon the rodents for both food and nesting habitat (Desmond et al. 2000). The loss of prey species like prairie dogs and ground squirrels also negatively affect some birds of prey (Bock 2002). Alternative grazing regimes do little to reduce impacts on bird species. For instance, short duration grazing where livestock are concentrated in pastures and moved frequently from pasture to pasture leads to a greater reduction in hiding cover that exposes ground nesting birds to predators and contributes to greater trampling effects (Paine et al. 1996). Individual studies sometimes demonstrate changes in species abundance due to livestock production. A comparison study of grazed and ungrazed lands on the Audubon Ranch in southeast Arizona showed an increase in some bird species on grazed lands that were habitat generalists, but it also exposed declines in grassland species like the Botteri’s sparrow and Cassin’s sparrows in the same area (Bock and Bock 1993). Literature reviews and studies on livestock grazing impacts support the view that livestock production has a detrimental effect on many bird species (Fleischner 1994). Wilcove et al. (1998) reported that livestock grazing (as opposed to all-inclusive livestock production) was found to be one of the major factors of species endangerment in the United States, surpassing logging and other land uses. Flather et al. (1994) looked at various causes for species endangerment and reported that grazing was the most frequent reason cited for species decline in the Southwest. Another review by former BLM biologist Elaine Rees found that livestock production contributed to the decline of 192 animal species with threatened, endangered or sensitive status in ten western states (Rees 1993). Among the diverse species of birds that Rees found negatively impacted by livestock production were sandhill crane, western yellow-billed cuckoo, southwest willow flycatcher, sharptailed grouse, ferruginous hawk, burrowing owl, mountain quail, Leconte’s sparrow, and Bell’s vireo. 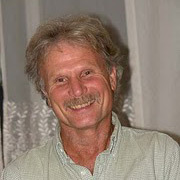 A review by Larry Walker, a former BLM range conservationist, found that, of 153 species of southwestern birds affected by livestock grazing, 17 species show variable responses, both positive and negative depending on the situation, another 18 benefit from grazing, and 118 bird species are negatively affected by livestock grazing. Walker’s review showed that 91 percent of state listed birds in the Southwest are negatively affected by livestock grazing, demonstrating livestock’s role in species endangerment. Sabb et al. (1995) found that livestock grazing had a major negative impact on many migratory landbirds in the western United States. Of 68 species of neotropical migrants reviewed, 29 percent increased with livestock grazing, 25 percent showed no clear response, while 46 percent decreased. Krueper et al. (in press) recently reported that population trends of neotropical migrants in the San Pedro Riparian National Conservation Area in Arizona have shown a marked response to the removal of livestock from the area in 1987. Only 8 percent of migrant species declined after the removal of livestock, 39 percent showed no clear response, and 53 percent increased in abundance. Riparian habitat, the thin green lines of vegetation along streams, seeps, and springs in the arid West, is vitally important to birds and other wildlife (Rich 2002; Kauffman et al. 1997; Ohmart 1996; Johnson 1989; Carothers et al. 1974). Studies show that 50-80 percent of all bird species utilize riparian habitat. For example, in western Montana 51 percent of land birds use riparian habitat (Masconi and Hutto 1981). According to Rich (2002), some 77 western land birds are obligate or dependent on riparian zones for breeding. Although western riparian areas have suffered significant degradation due to a variety of factors, including dams, Bureau of Reclamation water projects, housing and highway construction, and other human activities, livestock grazing is considered one of the most pervasive factors responsible for the damage to riparian habitat, particularly on public lands. Indeed, according to a 1990 study done for the Environmental Protection Agency, despite 100 years of range management, riparian areas were in the worst condition in history (Chaney et al. 1990). And an exhaustive review of over 200 riparian studies by Belsky et al. (1999) found none reporting a benefit of cattle on riparian areas when those areas were compared with ungrazed controls. As a consequence, species with a high dependence on riparian habitat have been particularly hard hit by livestock-induced habitat degradation. Even species that generally depend on upland habitat like the Gunnison sage grouse can suffer livestock-induced declines as a result of riparian damage or loss due to their dependency on wet meadows during parts of their life cycle (Webb 2000). Studies that compare riparian areas where livestock were removed with areas under continued grazing have demonstrated positive recovery in riparian-dependent bird species in Oregon at Malheur National Wildlife Refuge (Taylor and Littlefield 1986) and at Hart Mountain National Wildlife Refuge (Dobkin et al. 1998). Livestock production on western lands has significantly impacted many bird species, often leading to such severe declines in some species that they are proposed or listed as threatened or endangered in parts or all of their range. Reducing livestock production on public lands through voluntary federal grazing permit buyout permit and other mechanisms would likely lead to the restoration and recovery of many bird species, as well as greater positive ecosystem response. Text by George Wuerthner; edited by Mark Salvo. Belsky, A. J., A. Mazke, S. Uselman. 1999. Survey of livestock influences on stream and riparian ecosystems in the Western United States. J. Soil and Water Cons. 54: 419-431. Bock, C. E. 2002. Birds and bovines: effects of livestock grazing on birds in the West in G. Wuerthner and M. Matteson (eds.). WELFARE RANCHING: THE SUBSIDIZED DESTRUCTION OF THE AMERICAN WEST. Island Press. Covelo, CA. Bock, C. E. and J. H.Bock. 1993. Cover of perennial grasses in southeastern Arizona in relation to livestock grazing. Cons. Biol. 7: 371-377. Carothers, S. W., R. R. Johnson, S. W. Atchinson. 1974. Population structure and social organization of Southwestern riparian birds. Amer. Zool. 14: 97-108. Chaney, E., W. Elmore, W. S. Platts. 1990. Livestock grazing on western riparian areas. US Environmental Protection Agency. Washington, DC. Desmond, M. J., J. A. Savidge, K. M. Eskridge. 2000. Correlations between burrowing owl and black-tailed prairie dog declines: a 7 year analysis. J. Wildl. Manage. 64(4): 1067-1075. Dobkin, D. S., A. C. Rich, W. H. Pyle. 1998. Habitat and avifaunal recovery from livestock grazing in a riparian meadow system of the Northwestern Great Basin. Cons. Biol. 12(1): 209-221. Fischer, R. A., K. P. Reese, J. W. Connelly. 1996. An investigation on fire effects in xeric sage grouse brood habitat. J. Range Manage. 49: 194-198. Flather, C., L. Joyce, C. Bloomgarden. 1994. Species Endangerment Patterns in the United States. Gen. Tech. Report RM-241. USDA-Forest Service. Fleischner, T. L. 1994. Ecological costs of livestock grazing in western North America. Cons. Biol. 8(3): 629-644. Gilbert, D. W., D. R. Anderson, J. K. Ringleman, M. R. Szymczak. 1996. Response of nesting ducks to habitat and management on the Monte Vista National Wildlife Refuge, Colorado. Wildlife Monographs 131. Goguen, C. B. and N. E. Mathews. 2001. Brown-headed cowbird behavior and movements in relation to livestock grazing. Ecol. Appl. 11(5): 1533-1544. Gregg, M. A., J. A. Crawford, M. S. Drut, A. K. DeLong. 1994. Vegetational cover and predation of sage grouse nests in Oregon. J. Wildl. Manage. 58(1): 162-166. Jackson, A. S. 1963. The lesser prairie chicken in the Texas Panhandle. J. Wildl. Manage. 27(4): 733-737. Johnson, A. S. 1989. The thin green line: riparian corridors and endangered species in Arizona and New Mexico. Pages 35-46 in DEFENSE OF WILDLIFE: PRESERVING COMMUNITIES AND CORRIDORS. Defenders of Wildlife. Washington, DC. Kantrud. H. A. 1981. Grazing intensity effects on the breeding avifauna of North Dakota native grasslands. Canadian Field-Natur. 95(4): 404-417. Kauffman, J. B, R. L. Beschta. N. Otting, D. Lytjen. 1997. An ecological perspective of riparian and stream restoration in the western United States. Fisheries 22(5): 12-24. Kirby, D. and K. L. Grosz. 1995. Cattle grazing and sharp-tailed grouse nesting success. Rangelands 17(4): 124-126. Knowles, C. J., C. J. Stoner, S. D. Gieb. 1982. Selective use of black-tailed prairie dog towns by mountain plovers. Condor 84: 71-74. Krueper, D., J. Bart, T. D. Rich. In Press. Response of Vegetation and breeding birds to the removal of cattle on the San Pedro River, Arizona. Conservaion Biology. Littlefield, C. D. and D. G. Paullin. 1990. Effects of land management on nesting success of sandhill cranes in Oregon. Wildl. Soc. Bull. 18: 63-65. Littlefield, C. D., S. P. Thompson, R. S. Johnstone. 1992. Rough-legged hawk habitat selection in relation to livestock grazing on Malhuer National Wildlife Refuge, Oregon. Northwestern Natur. 73: 80-84. Marvil, R. E. and A. Cruz. 1989. Impact of brown-headed cowbird parasitism on the reproductive success of the solitary vireo. Auk 106: 496-480. Mosconi, S. L. and R. L. Hutto. 1981. The effect of grazing on the land birds of a western Montana riparian habitat. Proc. Wildlife-Livestock Relationship Symp. University of Idaho. Moscow, ID. Ohmart, R. D. 1996. Historical and present impacts of livestock grazing on fish and wildlife resources in western riparian habitats. Pages 245-278 in Paul R. Krausman (ed.). RANGELAND WILDLIFE. Society for Range Management. Denver, CO.
Paine, L., D. J. Undersander, D. W. Sample, G. A. Bartelt, T. A. Schatteman. 1996. Cattle trampling of simulated ground nests in rotationally grazed pastures. Rangeland. J. Range Manage. 49(4): 294-299. Rees, E. 1993. Threatened, Endangered, and Sensitive Species Affected by Livestock Production: A Preliminary Survey of Data Available in Ten Western States. Audubon Society of Portland. Portland, OR. Rich, T. 2002. Using breeding land birds in the assessment of western riparian systems. Wildlife Soc. Bull. 30(4): 1128-1139. Sabb, V. A, C. E. Bock, T. D. Rich, D. S. Dobkin. 1995. Livestock grazing effects on migratory landbirds in western North America. Pages 311-353 in T. E. Martin and D. M. Finch (eds.). ECOLOGY AND MANAGEMENT OF NEOTROPICAL MIGRATORY BIRDS: A SYNTHESIS AND REVIEW OF CRITICAL ISSUES. Oxford University Press. New York, NY. Taylor, D. M, C. D. Littlefield. 1986. Willow flycatcher and yellow warbler response to cattle grazing. American Birds 40(5): 1169-1173. USDA ERS. 2002. Agricultural Resources and Environmental Indicators. Ag Handbook No. AH722. US Dept. Agriculture. Washington, DC. Walker, L. 2002. Impact of grazing on 153 species of southwestern birds. Prepared for Western Watersheds Project. Hailey, ID. Available at http://rangenet.org/directory/walkerl/swbirds.html. Webb, R. 2000. Status review and petition to list the Gunnison sage grouse. Network Associates-Environmental Consulting. Eugene, OR. Wilcove, D. S., D. Rothstein, J. Dubow, A. Phillips, E. Losos. 1998. Quantifying threats to imperiled species in the United States. BioScience 48(8): 607-615. Wuerthner, G. 2002. Guzzling the West’s water in G. Wuerthner and M. Matteson (eds.). WELFARE RANCHING: THE SUBSIDIZED DESTRUCTION OF THE AMERICAN WEST. Island Press. Covelo, CA. Wuerthner, G. and M. Matteson (eds.). 2002. WELFARE RANCHING: THE SUBSIDIZED DESTRUCTION OF THE AMERICAN WEST. Island Press. Covelo, CA. Will our unhealthy addiction to cheap beef be the end of our living planet? It’s astounding how damaging livestock grazing is to the environment, but to the uninformed, grazing cattle are seen as wholesome and natural parts of ‘country’ life. At the very least we need to get the welfare-ranchers cattle off our public lands once and for all. I have known this for over 35 years. Cattle are decedents of the water buffalo and what cattle do not eat they pulverize with their hooves. Overgrazing and bare mineral soil also encourage the growth of star thistle and other undesirable plant species. Making matters worse ranchers lie and put many more cattle on public lands than they are allowed to. Ranchers also put up fences and locked gates to deny access by the public to public lands. I once had a discussion with a third generation rancher about how the quail(once hunted commercially in the 1880’s) had disappeared from his land. I told him it was his cattle. I then showed him how the habits of cattle destroy the food and cover/understory that the quail need for survival. He thought it was over hunting and predators. Now in my opinion, one cow is one western water search and destroy unit. This is especially true in the southwest. How cattle ranchers can get away with so degrading the environment is beyond me. I have come upon various areas, especially in the southwest like the Greater Escalante area, where the cattle have been allowed to graze in which the cattle devestated the environment. Then they put so many restrictions on us people when we camp and hike. But they do nothing about the cattle. Plus I have come upon some waterholes in the southwest which were literally completely destroyed by the local cattle. Am not at all surprised by this news. And they destroy far more then just some bird species in my opinion. About 15 years ago we were in the same country, hiking down The Gulch. Camping back away from the trail, we came upon a dead cow. At first it looked like it had just died. There were no marks or anything on it, but when we got a good look, it was nothing but a shell of hide. I touched it and the entire remnant crumbled into dust! Now I have to ask this. How long had it been there? In that arid country, was it a decade or more like a hundred years? Just goes to show how the disturbance of the cattle and the critters themselves last almost forever in this unsuitable country. Ralph, interesting story! Do agree in that desert country how much will that disturbance by cattle on the land last for years. Have been in the Gulch several times thru the years. The willows sure came up after they took out the cattle out of the canyon. But now if they can keep them out! How many times in various places in the Greater Escalante did I see an area devastated by the cattle. One place is in Upper Harris Wash near the trailhead and upstream. They winter the cattle in here and it is just devastating what it has done to the landscape. And years ago went thru La Verkin Wash near Zion NP where some cattle had grazed. It was absolutely devastated bigtime. People must wake up to the enormous negative impact that livestock production is having upon the ecosystem both here in the U.S. and worldwide! This also relates to a tremendous release of methane and NOx SOx gases that are trapping perhaps even more heat from the sun than CO2! Time to save the world with a change in your purchasing and eating habitat! Before it’s too late and our once healthy world becomes a sterile lifeless planet! Another amazingly well written and informative article from George Wuerthner. It’s about time that there are massive grazing cuts on western public lands. Let’s hope some positive results come out of this study. I dont disagree with the fact that in many areas over grazing is a disaster but by the same token several species evolved within the “over grazing” habitat of the native ungulates when they were here. Burrowing owls for one cannot survive without a grazed down habitat. There a few species of bat and bird that need it as well. Some of you anti-grazing folks would throw out the endangered baby with the bath water.